Jeremy A. Samuel is the founder and Managing Director of Anacacia Capital. He is responsible for the overall management of the firm and chairs the investment committee. 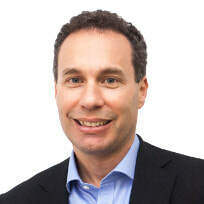 Jeremy is the Non-Executive Chair of Anacacia portfolio company: Duncan Technologies, Australia's leading parking and secure locker solutions provider. He was also the former lead director for Anacacia's successful investments into: Appen, a global leader in speech, search and social media; Big River Group a leading timber and building supplier; Rafferty's Garden, a leading healthy infant food business, Lomb Scientific, a distributor of leading brands to scientific laboratories; Home Appliances, a leading supplier of affordable quality appliances and Yumi's Quality Foods, a leading supplier of quality dips and snacks. ​Jeremy has led investments into small-medium enterprises (SMEs) across a range of industries including in consumer, services, manufacturing and distribution. He is the former Chair of ANZ's private equity management committee and was previously a strategy consultant with Booz Allen (now PwC Strategy&) where he advised corporate Boards, CEOs and private equity firms. Jeremy holds an MBA from Yale University School of Management and Arts/Law degrees from the University of New South Wales.